Dominique Lawalrée (b. 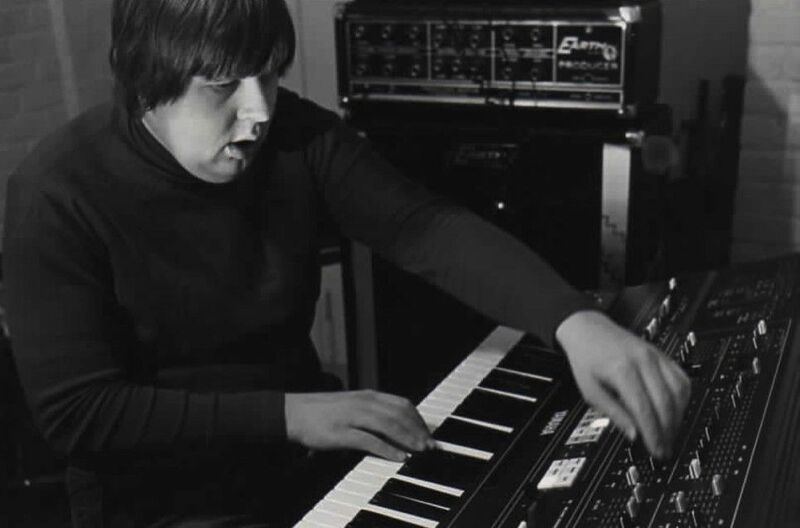 1954) is a Belgian composer and keyboard player, often associated with the New Simplicity movement, with over 500 compositions and 29 albums of hermetic, euphonic minimalism to his name. While pursuing a career as a music educator in his native Brussels, Lawalrée founded the Editions Walrus imprint in 1976 as a vehicle for non-commercial music, privately releasing a string of intimate solo records throughout the ‘80s featuring his own multi-tracked piano, synthesizers, tape, percussion, Wurlitzer, organ, and voice. Littered with references to forebears like Erik Satie (“Musique Satieerique”), Brian Eno (“Listen To The Quiet Voice”), Morton Feldman (“Morton A Fait Peur À Karlheinz”), and The Beatles (“Now Peace For Beatle John”), Lawalrée’s whimsical music of this period makes no secret of its influences. Yet while the elegant consonance of his recordings owes much to ambient or furniture music, a more apt metaphor would be that of wallpaper. Ornate and repetitive, its casual patterns can invite careful admiration from the willful listener or provide a subtle, comforting framework for domestic life. Following a mystical experience in 1994, Lawalrée’s work took a turn for the liturgical, embracing a formerly latent spirituality in the form of religious concert music written until 2016. Although Eno once expressed interest in publishing Lawalrée’s recordings on his legendary Obscure Records, dissemination of Lawalrée’s output has until recently remained limited, its reception as personal as the work itself. Now anthologized on First Meeting, Lawalrée’s first stateside release compiling recordings from the Editions Walrus years, Lawalrée’s music is no longer hidden. He will perform selections from this early period (1978-82), both solo and with a small ensemble, for his American debut. San Damiano Mission is located blocks away from the Nassau G subway stop. If you have specific questions about venue accessibility, please write chloe@blankforms.org at least three days before the event and we will make every effort to accommodate you.